From surfing along Canada’s famous surf highway to getting up close and personal with grizzly bears in their natural habitat, we teamed up with our mates at Canada Keep Exploring to bring you this list of absolute must-do experiences for all adventure seekers in British Columbia. The surf highway runs along the west coast of Vancouver Island, in case you were wondering. Did we mention mountain biking to a luxe AF safari-style cabin hidden in the woods? Canada’s Surf Highway is one of the most Instagrammed stretches of road in the world (and you can see why when you scroll through #CanadasSurfHwy). Running along the Pacific coast of Vancouver Island, Highway 4 connects Port Alberni, to Pacific Rim National Park Reserve, Ucluelet and Tofino. Sombrio is one of the most popular surf spots among locals, with it’s consistent reef break luring surfers of all kinds. If you want to squeeze in a few days here, check into Wild Renfrew seaside cottages. 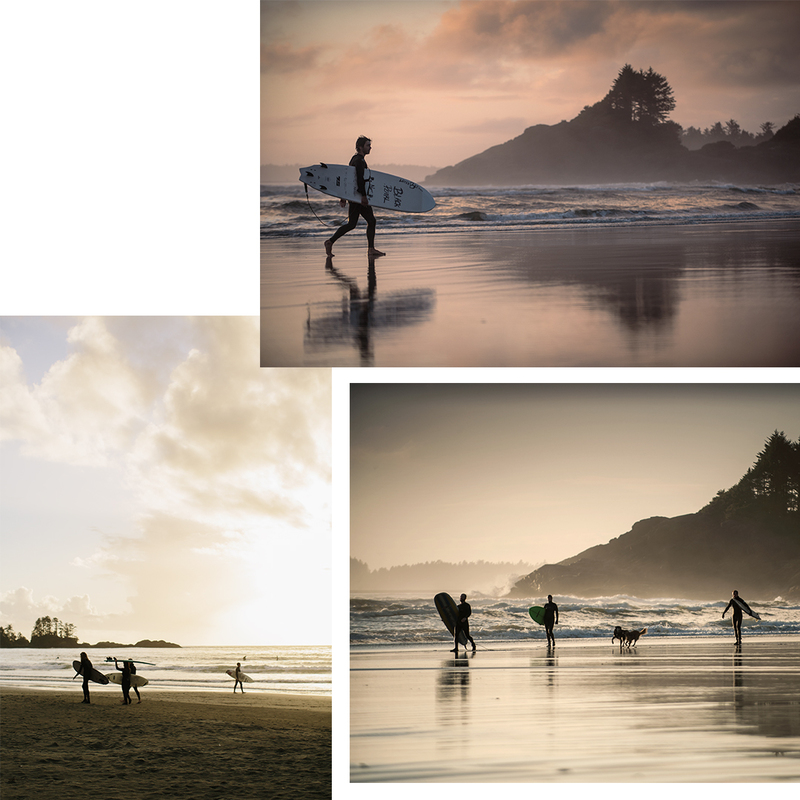 Next, make your way to Tofino, known as a mecca for surfing in Canada. Long Beach, Cox Bay and Chesterman Beach boast the best surf conditions all year round, but if you’re a confident surfer, Rosie’s Bay is the place to be. Built up an appetite? Head to Wolf In The Fog, a local hot spot serving creative locally sourced plates and cocktails, named Canada’s best new restaurant in 2014. Come winter (that's November to February in the Northern hemisphere, remember!) that storms in Canada are legit, guys, and you can experience the best of them on the west coast of Vancouver Island. Make your way to British Columbia’s Pacific Rim by taking the ferry from Horseshoe Bay to Nanaimo, before driving across the island to the small coastal villages of Tofino and Ucluelet. This is the perfect vantage point for watching the famously wild weather that rolls through Pacific Rim National Park. 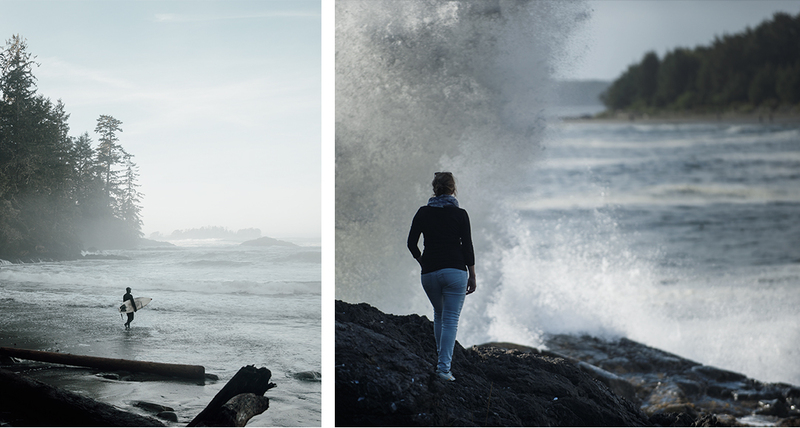 The Wild Pacific Trail is one of the most popular storm watching tracks among locals, with three seperate trails connecting into a stunning 8.4 kilometre route, while Chesterman Beach is the best place to spot big wave surfers taking on the monstrous storm tides. Do yourself a favour and book into an oceanfront hotel for the night (FYI, rooms at the Black Rock Oceanfront Resort boast bathtubs with an ocean view) to experience this untamed landscape at its best. Whether you’re an avid hiker or just a beginner, the Kootenay Rockies are a haven for all adventure enthusiasts - home to stunning mountain ranges, all-natural hot springs, and some of the best damn views in the region. With four mountain ranges and four national parks (and more than 70 provincial parks along the way! ), the Kootenays have something for everyone. Stanley Glacier is one of the most popular trails in Kootenay National Park, with its 8.4km round-trip trail making it an easy half-day hike. As you make your way through the valley, waterfalls cascade down cliffs and alpine meadows and wildflowers line the track. If you continue 1 km past the end of the obvious track, the route will eventually lead you to the glaciated peaks of the Rocky Mountains (where you can take a picture in front of the base of the Stanley Glacier!). Home to shimmering lakes, glistening glaciers, sky scraping mountain peaks and totally unspoiled wilderness, another group of trails well worth the trip are those found within Mount Assiniboine Provincial Park, located west of the BC-Alberta border. Mostly accessible by foot only, the area is also famous for camping, hiking, fishing and horse riding. We recommend a night or two at Assiniboine Lodge, nestled at the base of the iconic Mount Assiniboine. The lodge is 26 kilometers from the nearest road so expect an absolute, uninterrupted, off-the-grid experience. This is not a drill: we’ve found a luxe AF safari-style ranch in the heart of the Cariboo wilderness. When you’re not out exploring the Cariboo country or kicking back by the fire with a wine (or two) in hand, it's easy to feel like you're in heaven. We're also crushing on Echo Valley Ranch, who have an equally as lust-worthy spa. Editor's note: this article was produced in partnership with Destination Canada. Thank you for supporting the sponsors who make The Urban List possible. (And don't forget to share your Canada snaps with us using #Urbanlisted).